Businesses today depend heavily on their network to handle the exploring data traffic and critical mission. So companies are putting more applications and demands on their Ethernet Infrastructure. Deployment of VoIP and IP surveillance needs the network intelligence to separate the voice and video traffic from data, and prioritize them accordingly. However, companies do not need to invest extra money or advanced training in dealing with complex managed switches. 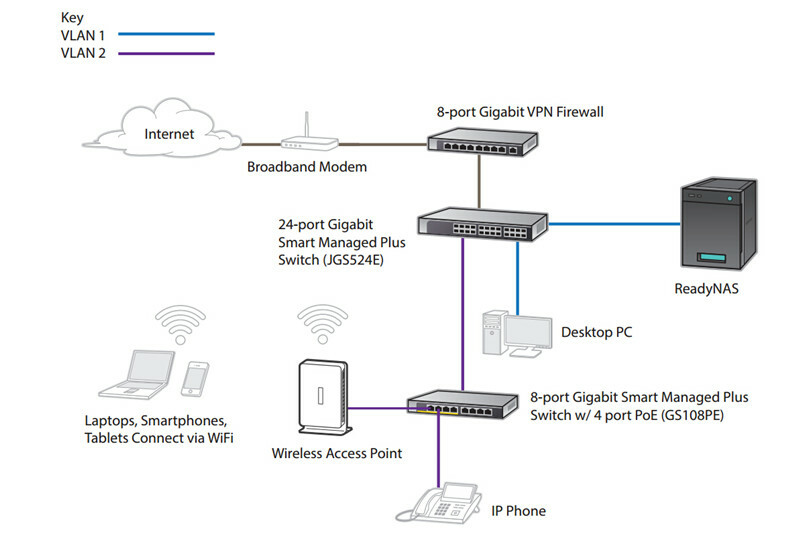 Netgear Prosafe GS108PE network switch is designed to meet this growing need. NETGEAR Prosafe series switches provides fundamental network features such as VLANs, QoS, and IGMP Snooping that will help optimize the performance of business networks. These switches come in a variety of configurations ranging from 5 port desktop to 48 port rackmount. NETGEAR GS108PE switch comes in a sturdy metal case with a fan-less design for silent operation, supporting Power-over-Ethernet (PoE) and can power devices such as IP phones, IP surveillance cameras and wireless access points with just Ethernet cable. Proven to be perfect for low cost PoE deployments and upgrade from the plug-and-play unmanaged switch. The NETGEAR GS108PE Gigabit switch has 8 Gigabit Ethernet ports which can be used for any 10/100/1000 Mbps connection, 4 of these ports can supply industry-standard IEEE 802.3af power, as well as providing power and data. This switch offers fundamental network features such as VLANs, QoS, and IGMP and allows for simple network set-up on top of plug-and-play connectivity. This switch will automatically detect 802.3af-compliant devices and will only provide power to these devices, and power will stop when the PoE devices are disconnected. Easy Management – simple setup and configuration with easy-to-use web-browser based interface. Enhanced Control – segment your network and prioritize your traffic with VLAN, QoS, IGMP Snooping, rate limiting and traffic monitoring. Visibility – monitor your network status and your cabling with the port statistics and cable health. Reliability – add redundancy to your network with port trunking. Gigabit Ethernet – 8 auto-sensing 10/100/1000 Mbps Gigabit Ethernet ports with up to 16Gb non-blocking switching. Netgear ProSAFE GS108PE switch is ideal for small business networks that want to simplify the installation of their IP-based PoE devices. Which can bring big cost savings when used for devices that are installed away from electrical outlets for example IP door entry and IP cameras, as the PoE eliminates the requirement for a dedicated electrical outlet. It is an ideal upgrade for SMB network combining management capability with higher speed and better performance. The NETGEAR ProSAFE GS108PE has 8 10/100/1000 Mbps ports, and 4 of these ports can supply industry-standard IEEE 802.3af power, as well as providing power and data. Cat5e cables can be used in these RJ45 ports to achieve link connection. FS offers a wide range of Cat5e network cables, which comes with unshielded (UTP) and shielded (FTP) type, PVC/OFNR and LSZH ratings. You can also customized the length and color of your cable – 10 different colors are offered for easier identification. 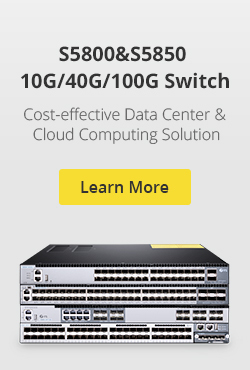 Netgear ProSAFE GS108PE Switch delivers essential networking features at a very affordable price, enabling network configuration and management at the price point of unmanaged switches. FS provides Cat5e Ethernet cables that fully supports Netgear GS108PE switch, and all of them are strictly tested to ensure top-notch quality. For more information, please visit www.fs.com. This entry was posted in Cabling Solutions, Cat5/Cat6/Cat7 Network Cable and tagged Cat5e Cable, ethernet cable, netgear prosafe gs108pe on October 7, 2017 by Aria Zhu. Cat5e vs Cat6: Can Cat6 Use on Cat5e Patch Panel or Vice Versa? In the market, there exist both Cat5e patch panel and Cat6 patch panel. We know that Cat5e patch panels are meant to be used with Cat5e patch cable, and Cat6 patch panels are meant to be used with cable Cat6, but what’s the Cat5e vs Cat6 differences, and Cat5e patch panel vs Cat6 patch panel differences? Can I use Cat6 cable on Cat5e patch panels or can I use Cat5e cable on Cat6 patch panels? Answers will be provided in this blog. Cat5e vs Cat6 Differences: Can I Use Cat6 on Cat5e Patch Panel? There isn’t much practical difference in the patch panels themselves. There is a difference in the wire gauge specified between Cat5e/Cat5 vs Cat6 Ethernet cable. The Cat6 wire is thicker. Cat6 usually has 23 AWG copper conductors compared to only 24 AWG in Cat5e cable. Another factor making Cat6 a larger wire than Cat5e is the fact that between each of the four pairs in a Cat6 cable there is a spline that will separate each pair from one another. Separating the pairs helps reduce cross-talk between the pairs and gives you a better signal. However, this spline also increases the diameter of the cable. Regardless of the size difference in Cat5e vs Cat6, the fact was that Cat6 cable is backward compatible with Cat5e. Yes, Cat6 is often times a larger cable, but this in no way affects its use with Cat5e patch panels. Feel free to use Cat5e patch panels if you already have them. You can always upgrade them later. Cat5e vs Cat6 Differences: Can I Use Cat5e on Cat6 Patch Panel? In addition to using Cat6 on Cat5e patch panel, we may also across some situations where we want to use Cat5e on a Cat6 patch panel. According to the passage above, we know that Cat6 cable is thicker than Cat5e, so if I use Cat5e on a Cat6 patch panel, will it be too loose? Although Cat6 individual twisted pairs insulation is usually thicker than Cat5e, this is usually never a problem with termination, only with how many cables you can stuff through a piece of conduit. So, will a Cat5e cable be “looser” terminated on a Cat6 jack, slightly yes, but electrically it will still make contact and work fine. But you should mind that your cabling channel will default to the lowest Catx component. Even though the patch panel says Cat6, with Cat5e cables you should only expect Cat5e performance on those jacks. When punching down Cat5e wire on a Cat6, the Cat5e wire is enough smaller that it is possible to get what looks like a good punch, but the insulation on the wire is not actually penetrated or is only partially penetrated by the vampire jaw of the punch block. When punching down Cat6 wire on a Cat5e panel, the larger wire can end up bending or even breaking the vampire jaws on the punch down block. In both cases, using care and testing each connection, you can usually make it work. If you’re just doing one panel at home you are probably OK. Although it can both work well, we don’t recommend to do this. Use the Cat5e on Cat5e patch panel and Cat6 on Cat6 patch panel will get the best performance. FS.COM provide both high-density Cat5e patch panels for Fast Ethernet applications and Cat6 patch panels for 1-Gigabit Ethernet applications. Easy to management and conserves data centers rack space. For more information, please visit www.fs.com. This entry was posted in Cat5/Cat6/Cat7 Network Cable, Fiber Patch Panel and tagged Cat5e, Cat5e Cable, Cat5e patch panels, Cat6, Cat6 cable, Cat6 patch panels on November 1, 2016 by Alice.Gui. How to Choose Right Category 5e Cable for Your Network? Category 5e Cable (Cat 5 enhanced), also know as Cat5e, is currently the most commonly used Ethernet cable in new installations. It’s designed to greatly reduce crosstalk, which means the Cat5e is better at keeping signals on different circuits or channels from interfering with each other. A step above Cat 5, it can handle 1000 Mbps speeds (gigabit Ethernet) at 100 MHz wit a maximum cable length of 328 feet (100 meters). How to choose right Category 5e Cable for your network? This article may give you the answer. Straight-Through or Crossover Category 5e Cable? RJ-45 conductor Cat 5e cable contains 4 pairs of wires each consists of a solid colored wire and a strip of the same color. There are two wiring standards for RJ-45 wiring: T-568A and T-568B. The two wiring standards are used to create a cross-over cable (T-568A on one end, and T-568B on the other end), or a straight-through cable (T-568B or T-568A on both ends). To create a straight-through Cat 5e, you’ll have to use either T- 568A or T-568B on both ends of the cable. To create a cross-over Cat 5e cable, you’ll wire T-568A on one end and T- 568B on the other end of the cable. 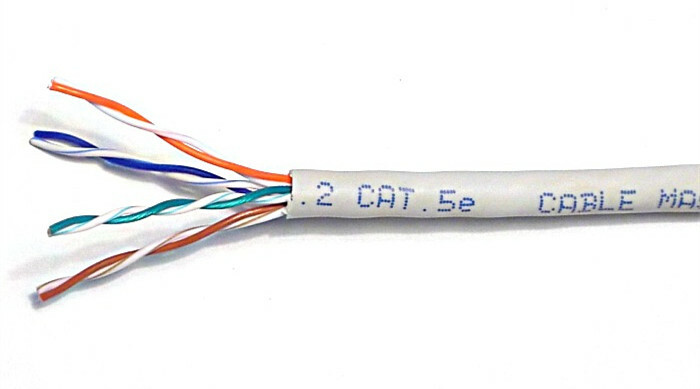 The straight-through Cat 5e cables are used when connecting Data Terminating Equipment (DTE) to Data Communications Equipment (DCE), such as computers and routers to modems (gateways) or hubs (Ethernet Switches). 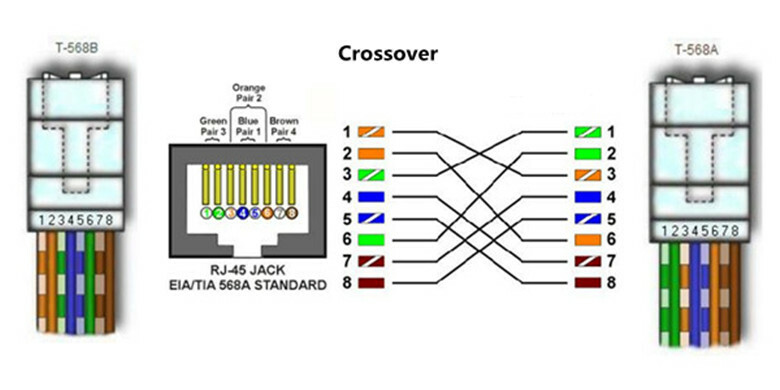 The crossover Cat 5e cables are used when connecting DTE to DTE, or DCE to DCE equipment, such as computer to computer, computer to router or gateway to hub connections. The DTE equipment terminates the signal, while DCE equipment do not. Unshielded(UTP) or Shielded(STP) Category 5e Cable? Shielded twisted cables (STP) reduce electrical noise and electromagnetic radiation. In other words, they help to keep the signal steady, and reduce interference with other devices. This is done with a shield that may be composed of copper tape, a layer of conducting polymer or a braid, and is covered with a jacket. Unshielded twisted cables (UTP) by definition do not have shielding serving them to reduce interference. They are designed to cancel electromagnetic interference with the way the pairs are twisted inside the cable. 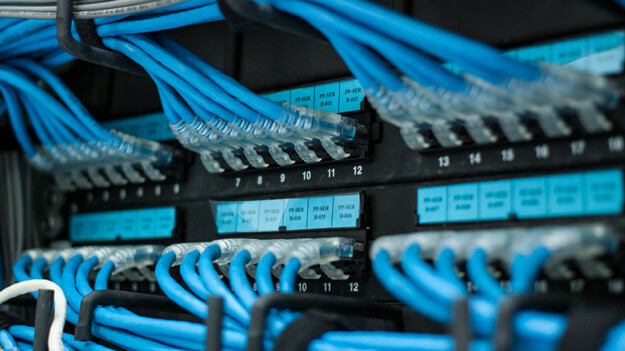 If you’re in any situation where you want to make sure that you get the most speed and efficiency out of your network, you’ll probably want to use shielded Cat5e cable. It’s hard to know when and where you’ll run into enough EMI to cause a problem, but if you use shielded Cat 5e in the first place you won’t have to worry about tearing the cable from the wall to replace it if you do run into that problem. Due to the design and nature of unshielded Cat 5e, it is most suitable for office LANS and similar network cabling systems. Unshielded Cat 5e are lightweight, thin and flexible. They are also versatile and inexpensive. When properly installed, a well-designed unshielded Cat 5e cable will be easier to both install and maintain than a shielded one. When choosing Cat 5e cable for your network, you also need to consider length and color. Cat 5e Ethernet cables come in standard lengths such as 1, 3, 5, 7, and 10 meter. 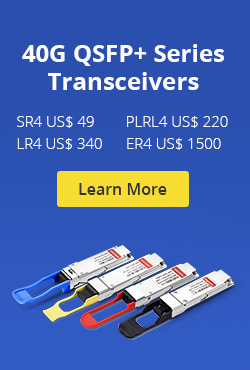 Longer lengths are available, and you can also have custom cable lengths made. The distance between your various network devices and your network switch or router will determine the length you need. Cat5e cables come in all sorts of colors. This decision can be based purely on your individual tastes and preference. Blue is perhaps the most common, but you might also consider white, gray, or some other color that doesn’t clash with your walls and carpet. Pictures below shows ten colors of Cat 5e cable provided in Fiberstore. Cat 5e cable supports up to 100 MHz and speeds up to 1 Gbps over 100 meters of cable. Cat 5e crossover patch cable is usually used to connect two same of type of devices. 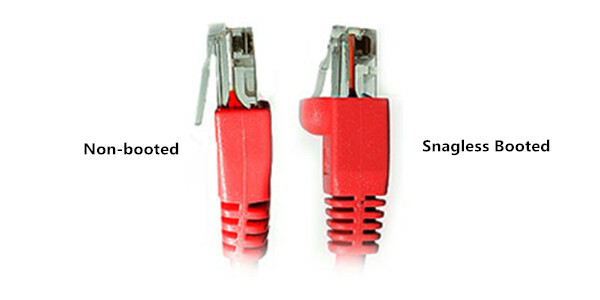 Besides, snagless boot prevents unwanted cable snags during installation and provides extra strain relief. The table below listed several most popular Cat 5e cables sold in Fiberstore for your choice. This entry was posted in Cat5/Cat6/Cat7 Network Cable and tagged CAT 5e, Cat5e, Cat5e Cable, Category 5e Cable, crossover Cat5e cables, shielded Cat 5e, snagless booted cat5e cable, straight-through Cat5e cables, Unshielded Cat 5e on October 10, 2016 by Alice.Gui.